Ten days ago, I wrote about ARMBrix Zero, the cheapest Cortex A15 board (soon to be) available based on Samsung Exynos 5250 processor. It is now available for pre-order, and the company organizes a raffle to send a free ARMBRIX Zero board to the winner. ARMBRIX Zero is available for for $135 for pre-oder. 1,000 pieces are available for this price on howchip.com, after the board will be sold for $145. Shipping via Fedex is about $35 to $45 depending on destination (I only checked 2 countries), and you’ll need to wait around 12 weeks to get your order shipped. Description of business opportunity based on ARMBRIX Zero. ARMBrix will then evaluate proposals on January 15, 2013, and send a free ARMBRIX Zero on January 25, 2013. 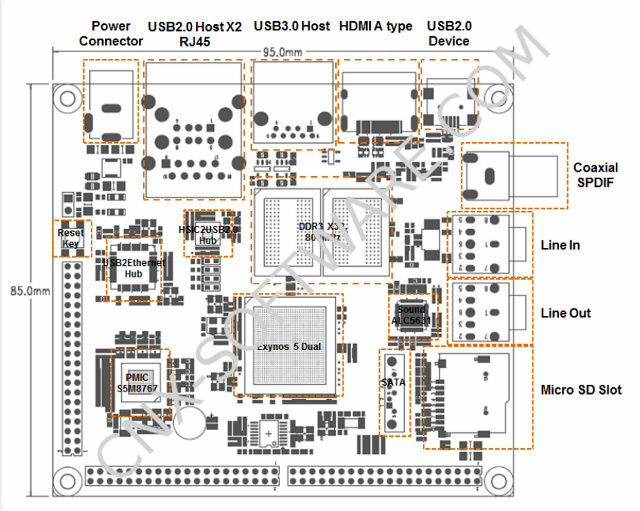 The first prototype of the board will be available early January 2013, and the board will be showcased at CES 2013.